ELA.RI.5.1: Quote accurately from a text when explaining what the text says explicitly and when drawing inferences from the text. ELA.RI.5.2: Determine two or more main ideas of a text and explain how they are supported by key details; summarize the text. ELA.RI.5.3: Explain the relationships or interactions between two or more individuals, events, ideas, or concepts in a historical, scientific, or technical text based on specific information in the text. ELA.RI.5.5: Compare and contrast the overall structure (e.g., chronology, comparison, cause/effect, problem/solution) of events, ideas, concepts, or information in two or more texts. ELA.RI.5.4: Determine the meaning of general academic and domain-specific words and phrases in a text relevant to a grade 5 topic or subject area. ELA.RI.5.8: Explain how an author uses reasons and evidence to support particular points in a text, identifying which reasons and evidence support which point(s). 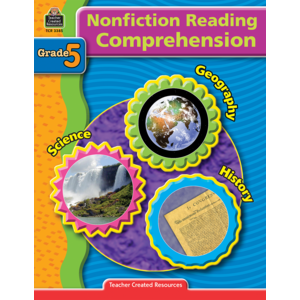 ELA.RI.5.10: By the end of the year, read and comprehend informational texts, including history/social studies, science, and technical texts, at the high end of the grades 4–5 text complexity band independently and proficiently.